Haq's Musings: How "Illiterate" Are Pakistan's "Illiterate" Cell Phone Users? How "Illiterate" Are Pakistan's "Illiterate" Cell Phone Users? 3. Isn't there significant anecdotal evidence to suggest that many of those classified as "illiterate" are in fact quite literate in terms of the use of cell phone technology? 1. The "illiterate" women could read English numbers (e.g., 1, 2, 3, 4, etc.) and knew what they represented. 2. Every BISP recipient could identify the different notes in her currency. The denominations are written in the English number system, 20, 50, 100, 500, 1000, etc., so that reinforces their comprehension of numbers. 3. None of the women we spoke with could read or write Urdu script. 4. Photographs were used to communicate instructions to "illiterate" women on how to use ATMs. . The BISP women were confident and eager to use an ATM after they were shown a series of photographs showing each step of the process. These findings confirm the UNESCO strategy in Pakistan and other developing countries to use cell phones for boosting literacy rates. UNESCO’s own study of mobile reading was conducted in 2013-14 in seven developing countries: Ethiopia, Ghana, India, Nigeria, Pakistan, Uganda and Zimbabwe. The report, Reading in the Mobile Era, highlights that hundreds of thousands of people currently use mobile technology as a portal to text. Findings show that in countries where illiteracy rates are high and physical text is scarce, large numbers of people read full-length books and stories on rudimentary small screen devices. Since 2009, UNESCO Islamabad, BUNYAD Foundation (NGO) and Mobilink Pakistan (mobile phone company) are jointly implementing a project called "Mobile-Based Post-Literacy Program" (MBLP) to address the literacy retention problem of newly literates, specifically young and adult females. Let's hope Pakistan's public and private sectors will make full use of technology, particularly mobile phone technology accessible to more than three-quarters of the people, to accelerate mass literacy in the country. Benazir Income Support Programme (BISP) has developed 100 Days Action Plan (100 DAP) with over 70 actionable items with specific deadlines and responsibilities in order to meet the operational and service delivery related challenges." Minister of State/ Chairperson BISP, MNA Marvi Memon disclosed this here on Wednesday while talking to the media during an interactive session at BISP Secretariat. She said BISP is moving towards e-governance systems as all the action plans of 100 DAP will be tracked by the higher management of the organization and also by the Prime Minister and the Finance Minister through the dashboard mechanism. The 100 DAP was developed through a brain storming workshop involving the Headquarter staff as well as the Field Officers to identify the major areas of concern and to find their probable solutions. Moreover, feedback from the development partners of BISP as well as the Board members was also sought to make this action plan effective and practical. Around 70 key areas have been identified for the action plan on which appropriate action would be taken on priority to increase the efficiency and productivity of the organization and to facilitate the marginalized segments of the society. Sharing the salient points of the action plan, she said that the issues related to the disbursement of payment will be focused to enhance the efficiency of the payment process by tackling bank related issues including card activation and replacement process. Compliance of the service agreement by the banks will be ensured and the new payment mechanisms like high-tech biometric cards will be piloted. In order to help the uneducated and poor women for obtaining their cash transfer amounts smoothly, financial literacy project will also be started. She said that the poverty survey was conducted almost five years back so it is under consideration that a fresh survey may be carried out keeping in view the present socio-economic conditions. The re-survey will also target those deserving families who were not included in the previous survey. To facilitate more and more deserving people, BISP will make efforts for issuance of CNIC cards to the Non-CNIC pending beneficiaries. In this regard, social mobilization campaign through women committees will be launched. According to the data available after Poverty Score Card survey 7.7 million families were identified as eligible beneficiaries of BISP, out of which 5.5 million are active beneficiaries while 2.2 million beneficiaries are still pending. She further said that a sanity check of the database has been started and the payment to the beneficiaries has been initiated accordingly. Moreover, anti-fraud public service campaign with the help of Telecom companies, FIA, PTA and media organizations has been started. In order to facilitate and empower the women through a complaint registering process, a hotline number 0800-26477 by the name of `FORI RABTA' has also been activated. BISP is also launching a comprehensive communication strategy, SMS service for beneficiaries, e-newsletter, annual reports and a campaign against vulnerability through art, documentary films and documenting successful stories. Regarding Waseela-e-Taleem initiative, she said, full extension would be done in 27 new districts with better attendance compliance and improved coordination with provinces. A detailed Monitoring and Evaluation system would be devised for successful implementation of ongoing Spot Checks and ensuring timely launch of catch-up exercise for Unconditional Cash Transfer pending beneficiaries. Marvi Memon said that the vision of the Prime Minister is to make BISP `pride of Pakistan' by improving its delivery services and products for the dignity of beneficiaries, their empowerment and for giving meaning to their lives. Excerpts from "Text is not the enemy: How illiterates’ use their mobile phones by Hendrik Knoche and Jeffrey Huang"
We carried out semi-structured interviews (60-90minutes in duration) in cafes or the participants’ homes. All 9 participants (7f, 2m) had immigrated from Africa or Latin America to Switzerland and recently started a course to learn how to read and write. The interview included topics such as a typical day, problems or inconveniences faced, media used in the home, means of communication and information, interacting with necessary machinery, e.g. automated teller machines (ATMs), and a focus on the use of their mobile phones. We wanted to know how they received and placed calls and managed contacts; we also probed for other functions that they used. Unlike in Lalji’s study our interviewees could all tell digital time and read numbers. Almost half of the Swiss participants made use of paper calendars to some degree. Almost exclusively they only noted down the times of meetings in the slot for a day (on calendars with a grid) not with whom or where. One exception to these handwritten notes were cards given to them for doctor’s appointments that contained the time, date and contextual information about the doctor. The speed at which they traversed the phone menus was the same as for literate people. We often had to ask our interviewees to slow down when they were showing us how they performed certain tasks on their phones. They mastered important functionality through rote learning: “After I have clicked on this icon I need to go down twice and then – click! - I’m done.” This was the same technique that they used to learn how to operate other important digital interfaces such as ATMs and game consoles. Family or friends assisted during the memorization phase and they repeated the procedures in their presence as many times as needed. Icons served as landmarks and sometimes the shape or length of text allowed the people to orient themselves in the interface. Continuous help was necessary for smart phone owners to download apps, games, music, ringtones, install customizations (e.g. a different unlock button on the iPhone) and both celebrity and personal picture wallpapers. All of them had received text messages, though they were often unsolicited. How they dealt with received text messages varied and depended to some degree on the content. Some had developed simple heuristics in detecting unsolicited messages through the length of the sending telephone number and the fact that the message contained a lot of text. Most interviewees responded to an incoming SMS by calling the sender – either they had memorized how to do this through the context menu or they noted down the number and typed it into the phone again. Some of our interviewees treated all messages as spam and had learned either how to exit the received message mode or how to quickly delete them without checking the content or their origin. Others asked for help with the content of the text messages. None of the interviewees felt particularly bad about this approach but one who was in a new relationship found asking close friends to read messages with romantic content exciting at first but then increasingly annoying. Call logs were valued for their quick access and all of our interviewees made use of them. One recently contacted log, which aggregated recent calls of contacts and sorted them in descending order and left the most recently contacted person on top (either as a telephone number or the name of the contact) was particularly valued by its user: “This is the single most useful thing about this phone. One button click and I’m with my daughter [the only text entry on the top of the list].” All the interviewees besides her had more than 50 contacts stored in their address books. ..
Polly then sends your goofy-sounding message to the friend and asks if he or she wants to record a message and send it to a friend after Polly makes it sound goofy. If people like playing this game, it goes viral. Now here's the serious part. "Once we are spreading, we can add on top of that health messages or employment messages or other messages," says Roni Rosenfeld, one of Polly's creators. He and his colleagues developed Polly as a way to reach people who can't read. A few years ago, they used Polly in Pakistan to spread information about how to find a job. To get started, all people had to do was call a local number. "We gave the number to 30 people [in Pakistan]," says Rosenfeld. "Then within two weeks we had to shut down the system because we got 10,000 calls, we had only a single phone line and we couldn't maintain the volume. "A few months later when we got 30 lines, we opened it again, gave the number to five people, and it took off to thousands and then tens of thousands and then hundreds of thousands." According to the researchers, 20 percent of about 165,000 people playing the game also listened to the employment message. Last November, Rosenfeld started working on a version of Polly for the West African nation of Guinea, where Ebola is still a problem. Instead of giving out employment information, Polly tells Guineans what to do if they suspect someone has Ebola, how to avoid getting Ebola and what to do when someone dies of Ebola. The idea is to build on what health workers are doing on the ground. Rosenfeld says Polly is catching on more slowly in Guinea than in Pakistan. He knows people are forwarding messages to their friends, "but the numbers remain in the thousands, not in the hundreds of thousands." So the game is being tweaked to make it more appealing. Polly's Africa debut was largely propelled by one of Rosenfeld's grad students, Agha Ali Raza. Last November wasn't a great time for Raza to start a new project. He was trying to finish up his Ph.D. But he decided he had no choice. "I did not want myself to be in a situation like a year from this time to think that 'OK, I was there, I could have done something, but I did not try,'" says Raza. "So I wanted to be in a situation that 'I was there, I tried my best, maybe I failed, but I tried my best.'" Also working on the Polly release in Guinea are Nikolas Wolfe, Juneki Hong and Bhiksh Raj from Carnegie Mellon and Kimberly Phelan Royston, Emily Greem and David Kierski at the U.S. Embassy in Conakry. Raza, meanwhile, did manage to finish his Ph.D. He plans to keep working on Polly at his new job at the Information Technology University in Lahore, Pakistan. At a dimly lit welfare office in Rawalpindi, Pakistan, women like Akhtar Shaheen line up to file benefits requests and get their thumbprints scanned for a new biometric identification system. Shaheen, 40, has five children and needs money for asthma medicine and school fees. She says she wouldn’t be able to send two of her teenaged children to college without it. The women at this center are among the 5.3 million in Pakistan who get $180 a year in small cash payments through the country’s biggest social safety net, the Benazir Bhutto Income Support Program. The program pays women only, and that’s by design. “They are treated as heads of households, the money is going to them,” says program chairwoman Marvi Memon. Memon says the welfare program she runs is not just about money. It’s about raising the status of women. “When you’re treating women as primary members of the household, then their importance in the family increases immediately, and their status improves,” Memon says. Memon, an intensely focused woman who carefully measures her words, knows what it is for your status to improve. She’s the daughter of a politician, and a minister of state and member of parliament in her own right. But she wasn’t elected. She was selected by her party in 2008 for a seat reserved for women. Memon is among a wave of women lawmakers to take office since 2002, when Pakistan adopted a quota of 17 percent women in parliament. Memon, who’s 44, says she has been fighting for the rights of women ever since. Her best-known legislation is a 2011 law that established stiff penalties for perpetrators of acid attacks. “During my activism, I saw some victims in hospitals, and I promised them on their dying deathbed that I would get them legislation so that they would get justice,” Memon said. Memon was able to win support from women across parties to push the bill into law. Women make up just one in five parliamentarians around the world, and quotas like Pakistan’s are a way to get women like Memon in the door. But research shows that they are not the whole solution. “What we see is that quotas are usually not enough in order to really have the female parliamentarians have an impact,” says Alexandra Rosen, senior director of the Brussels-based advocacy group Women in Parliaments Global Forum. Rosen says women often can’t break into the “old boys' clubs” that help male politicians drum up support for their legislation. Her foundation is building a network of the world’s roughly 9,000 female parliamentarians “to create this kind of 'new girls' network' to rival those traditional routes to power,” she says. In Pakistan, a "new girls' network" has been given a lot of credit for empowering female legislators. The UN helped start a Women’s Parliamentary Caucus in Pakistan in 2008, and within a few years, parliament passed Memon’s acid attack legislation, as well as legislation on domestic violence, workplace harassment and legal assistance for women prisoners. The US has also backed efforts to bring more women into government worldwide, as part of the more than $1 billion spent annually by the State Department on developing and improving women’s rights around the world. In Pakistan, the US government is running exchange programs that bring female representatives to the US, where they can see legislative practices at the federal, state and local levels. Launched in 2008, Pakistan’s flagship national safety net program, the Benazir Income Support Program (BISP), is currently providing income support though predictable $15 monthly cash transfers to more than 5.2 million families of the country's nearly 20 million poorest people. Over $3.5 billion has so far been disbursed to beneficiaries and the program aims to reach 5.3 million families by the end of the current financial year. To further support these families and promote human capital development amongst the poorest, effective 2012, BISP has rolled out a top up Co-responsibility Cash Transfer (CCT) program, linked with primary school education of beneficiaries’ children. Since BISP delivers transfers to female members of the families, this has significantly contributed to women empowerment and promoting financial inclusion. With a variety of innovations and building blocks of Social Protection systems, BISP is evolving as a national platform for provision of targeted services to the poor.
" It is miraculous. Over time with the benefits that we have received, our children have rejoined school. Payment of children’s school fee and other expenditures is easy for us "
According to a recent revision of poverty numbers, around 29% of Pakistanis live below the poverty line and many others are vulnerable to shocks likely to push them below the poverty line. 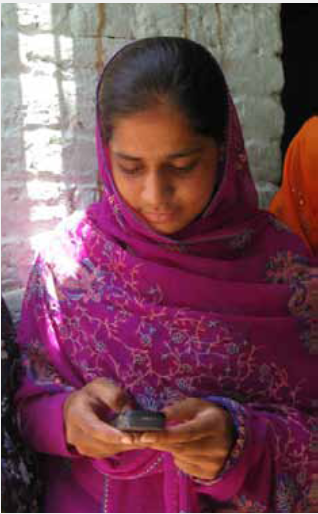 Before the launch of BISP, Pakistan’s main safety net programs had limited coverage and targeting efficiency: up to one third of the resources distributed were going to non-poor families and the delivery systems were inadequate. Since 2009, the World Bank’s Social Safety Net Project has supported BISP to develop modern service delivery systems that enabled the institution to efficiently and transparently reach a large proportion of the poorest and provide them the benefit transfers. Besides various administrative improvements, the Project has also supported BISP to strengthen its partnership with provinces for joint implementation of CCTs.
" I was living my life in extreme poverty. BISP became my savior. My children are able to receive the formal education. " The establishment of a National Socio-Economic Registry through the use of an objective targeting system, hosting a database of more than 27 million households (approx. 167 million people) – the first in South Asia. More than 30 federal and provincial organizations are already using this registry to improve pro-poor targeting performance of respective social sector programs. BISP is about to launch the update of household welfare information in the Registry to be completed by December 2017. By providing women access to national identification cards and making payments to female heads of beneficiary families, the program has significantly contributed to women empowerment. The enrolment of women for the NID card has almost doubled post the launching of BISP. Transparency and efficiency have improved since more than 93% of the current 5.2 million beneficiaries receive payments electronically, and even the poorest women can access branchless banking accounts for the first time ever in their lives. The Co-responsibility Cash Transfers (CCT) in 32 districts is linking cash transfers to primary school education. More than 1.3 million children have been enrolled in the program, of which nearly 50% are girls. Partnerships with the provinces helped promote the National Enrolment Drive, raise awareness of the program amongst the poor and pave the way for the design and delivery of complementary services. The (World Bank) report ( The State of Social Safety Nets 2015) – which identifies India as a “lower middle income group” country – finds that all other BRICS countries, except China, spend a higher proportion of funds on social safety net. Thus, Brazil spends 2.42 per cent, Russia 3.30 per cent, China 0.70 per cent, South Africa 3.51 per cent, and South Africa 3.51 per cent of GDP. Interestingly, even the two of India’s neighbours – Pakistan and Bangladesh – spend a higher proportion on social safety net, 1.89 per cent and 1.09 per cent. The report says, “Despite having fewer resources for social safety nets, some lower-income countries allocate considerably more funds than the 1.6 percent average for developing countries”. A delegation of International Monetary Fund (IMF) visited Benazir Income Support Programme (BISP), as part of their on-going visit to Pakistan to assess the economic and financial challenges faced by the country here at BISP headquarters on Thursday. The IMF delegation was led by Harald Finger, Advisor and Team Leader and Ms. Taline Koranchilian Deputy Director Middle East and Central Asia, whereas Chairperson BISP Dr Sania Nishtar and Secretary BISP Omar Hamid Khan BISP along with senior management represented BISP. Mr. Harald Finger, Advisor and Team Leader IMF in his brief remarks not only appreciated the BISP performance and contribution towards the National social protection and helping the vulnerable to fight poverty while addressing the issue of malnutrition and stunted growth. Finger pointed out the overall economic challenges faced by the country and said that social protection is one of the key areas to be focused. He added that BISP has impressive engagement working model to address the wider canvas of social protection. Secretary BISP Omar Hamid Khan briefed the delegation on various initiatives, programmes and activities of BISP as well as its national and international partnerships. BISP is contributing towards women empowerment by supporting 5.7 Million marginalized women of this country, through Cash Transfer programme (both conditional and unconditional transfers). BISP strongly believes in imparting International excellence, utilization of modern technology and implementation of Sustainable Development Goal (SDG) for the marginalized population, in line with international standards, he added. Secretary apprised the delegation that BISP has state-of-the-art social researcher’s team from Harvard, MIT and LSE to develop Social Protection models. They were also apprised of the public private partnerships of BISP which have contributed towards innovative approaches of tackling poverty and providing opportunities to vulnerable women to seek socio-economic empowerment. BISP Chairperson Dr. Sania Nishtar in her remarks said that her role is to address the issues of governance and policy matters related to the board meetings. She said the organization has zero tolerance for corruption and her job is to make the organization efficient and transparent. She foresees the growth of Data Engine of BISP through National Socio-Economic Registry (NSER) in the years to come as the sole source of information sharing to facilitate the national social protection work in the country on a massive scale. Explaining further Secretary BISP said, that on average in Pakistan one out of every three children, is suffering from stunted growth. The case in Sindh and Southern Punjab is even worse. There are 2.5 Million women affected due to this every year. The rate is all time staggering high and alarming, and demands immediate measures to respond. The BISP has formulated the strategy to address the looming issue of stunted growth and related health problems. It was also shared by the IMF delegation that to ensure the sustainability of the program financial support is also required on an assured basis to the programme. Seniors officers of BISP also briefed about the broad contours of their programs related to NSER, Complementary initiatives and Cash Transfers. It was also conveyed to the IMF team that 2.4 million children have been enrolled in schools under the Waseela-e-Taleem programme. They were also briefed on the future plans of BISP where it intends to bring in 8 million beneficiaries in its fold after update of the National Socio Economic Registry, thus contributing to the government agenda.